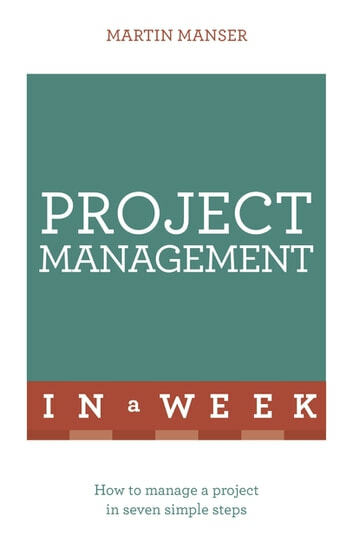 This book will help you come to grips with the basics of project management in a week. By the end of the week you will know your way through the process more clearly. For a start, you will have to consult your end users to work out their precise requirements. You will then need to work out the best way to deliver the required outputs, consider the size of the team you will need to meet those requirements and prepare a schedule for the project. Most importantly, you will need to firm up costs, work out a budget and develop monitoring procedures to keep to the agreed costs. You will learn tips for communicating well, especially when dealing with unexpected problems that may arise. Each day of the week covers a different area and the material is structured for ease of reference. An introduction gives you a 'heads-up' as to what the day is about. The main material then explains the key lessons to be learned. Important principles are clarified and backed up by case studies, quotations and tables. Each day concludes with a summary, next steps and multiple-choice questions, to reinforce the learning points. Sunday: Think clearly. Lay firm foundations for your project as you clarify and set parameters for the project. Monday: Plan your project carefully. Begin to make detailed arrangements for the various stages of the project. Tuesday: Cost your project wisely in the planning stage and ensure that you have rigorous controls in place to monitor costs and quality as you implement the project. Wednesday: Implement your project successfully. After all your planning and preparation, you are now ready to put the project into practice. Thursday: Communicate effectively. Good communication with all the colleagues involved in your project is vital to ensure that the team works successfully. Friday: Deal with change constructively. 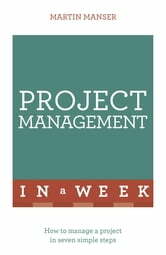 Here we look at why some projects go off track and how to manage changes. Saturday: Conclude and evaluate your project positively. How do you complete all the final stages of your project? What lessons can you learn as you evaluate the success of your project?